Orchid Flowers Fields LandscapingOrchid lovers out there attention! We are proud to give you this series of orchids for you to take and enjoy! Featuring Asian Ground orchid variety characterized by white petals mixed with hues of orange and pink decorated with pink blots and an orange, trumpet-like column. 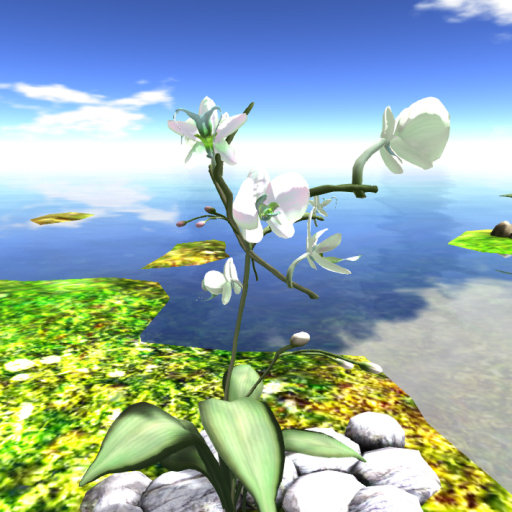 The orchid grows on a pile of white rocks, enhancing its total package. Free for ACS tenants! Orchid Flowers Fields LandscapingGround orchid at its most feminine look! Try and rezz this Pink petal variations drapping this unique orchid plant as rocks in whitewashed appearance with green moss hugging some parts of the rock, giving an impression that the plant is already old and well established. Exclusively FREE OF CHARGE to all our beloved residents of Anshe Chung Sims and partner estates. 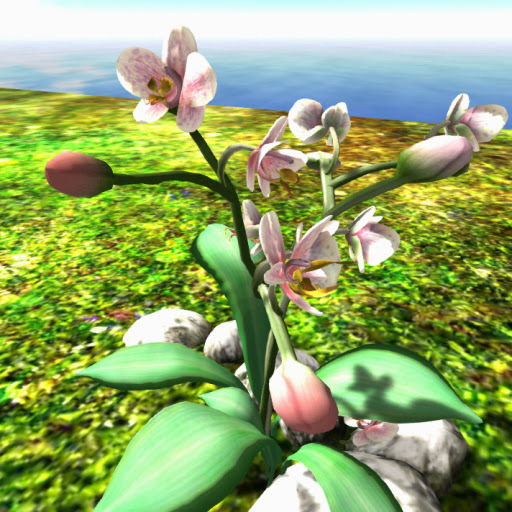 Orchid Flowers Fields LandscapingOrnamental like no other! White-petaled orchid growing out of a pile of whitened beach rocks. This stands well in backyard gardens or parks as a stand alone decor or in groups of similar plants. Free for ACS tenants! Orchid Flowers Fields LandscapingGround orchid in a unique color pattern, sure to make a mark in your estate! Sporting White inflorescence with spots of purple or pink, this orchid also exhibits a yellow column and white rocks for a dazzling effect. 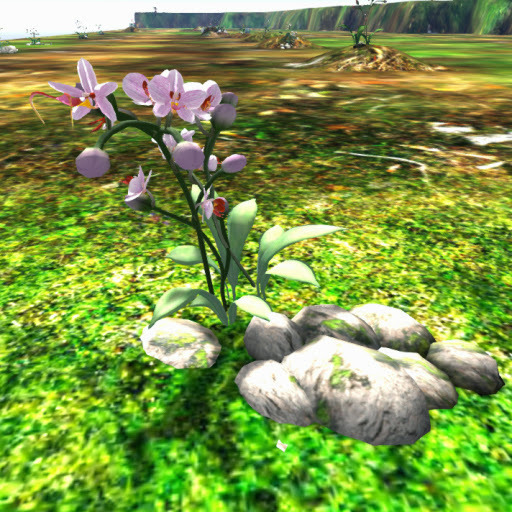 Orchid Flowers Fields LandscapingPop of colors mixed together for an ultimate eye candy. We give you an exact replica depicting several Ground ochids in reddish-orange inflorescence clinging its aerial roots on white rocks for support. 7 prims of only the best items all free to have for ACS tenants. 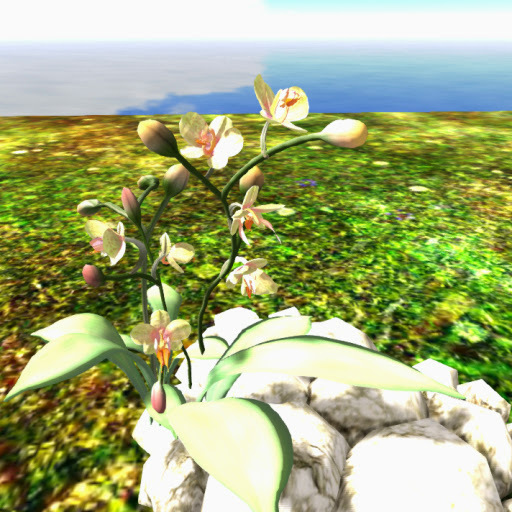 Orchid Flowers Fields LandscapingSummer colors for your estate! Tangerine-colored flowers characterize this Lady's Slippers orchid protected by a chunk of triangular-shaped gray rocks where the aerial roots clings. Sculpted to perfection, all yours to have. Lilies Flowers Fields LandscapingSculpted with white rocks forming a circular plot, our Lily flowers in orange variations is a deftly created three dimension masterpiece that will decorate your estate or gardens. Exclusively FREE OF CHARGE to all our beloved residents of Anshe Chung Sims and partner estates. Lilies Flowers Fields LandscapingLily lovers rejoice! Here's a chance to own a nice set of ornamental courtesy of ACS! 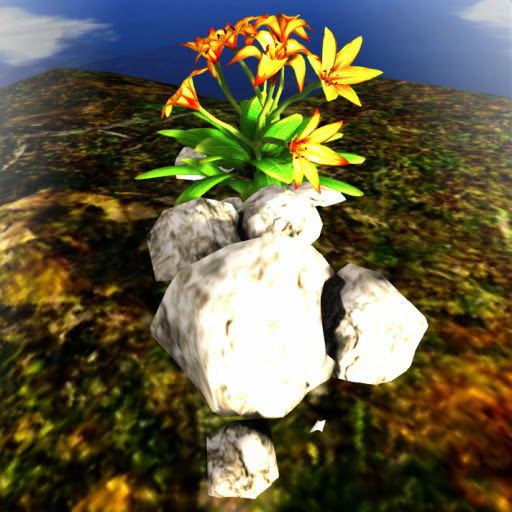 Lily flowers in orange variations and hues arranged centrally and growing on white rocks piled in rows. Free for ACS tenants! Lilies Flowers Fields LandscapingNeed a major garden makeover? 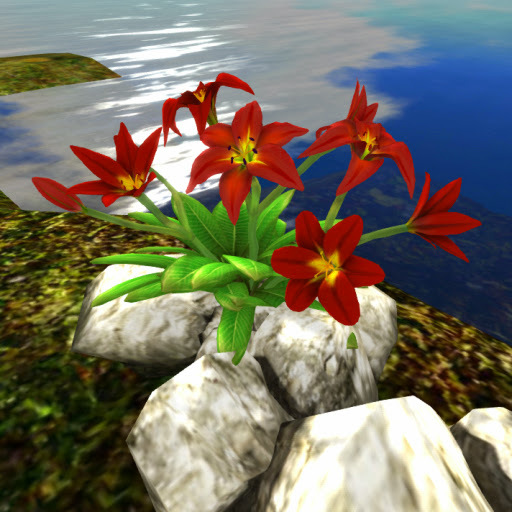 Show your passion for gardening and acquire this fiery red Lily bursting out of the glossy white and smooth rocks. This item will truly get their attention. Exclusively FREE OF CHARGE to all our beloved residents of Anshe Chung Sims and partner estates. Lilies Flowers Fields LandscapingGardens can be dull if they are only a single color theme. Grab your guest's attention with this red Lily smeared with bright yellow right at the center of the inflorescence. White rocks arranged at the side provides a brilliant backdrop to an already drop dead gorgeous ornamental plant. 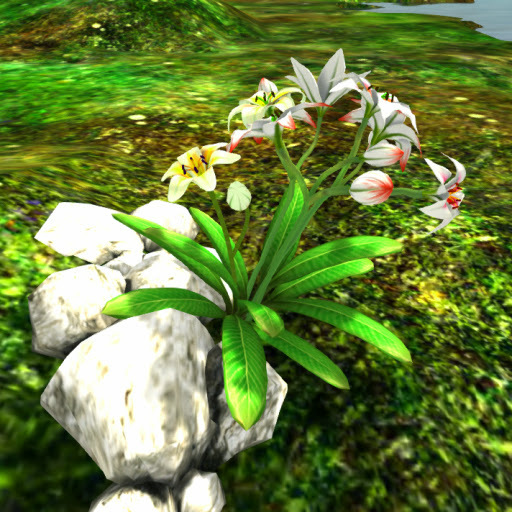 Lilies Flowers Fields LandscapingThe best Lilies in Second Life is here at ACS! Sculpted Lily flowers robustly growing on white limestone rocks. The plant has a unique inflorescence of yellow and pink hues mixed within the predominantly white petals. Wonderful isn't it? Take it home now! 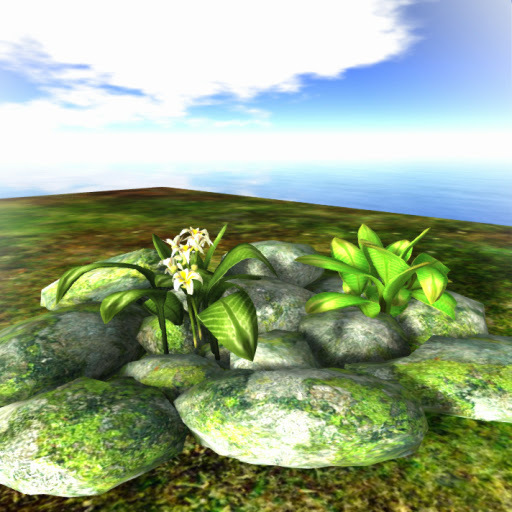 Lilies Flowers Fields LandscapingRocks and flower set arranged in an excellent 23 prim sculpt, this version has an overall white colored petals smeared with pink variegation whilst growing on flat, white rocks. 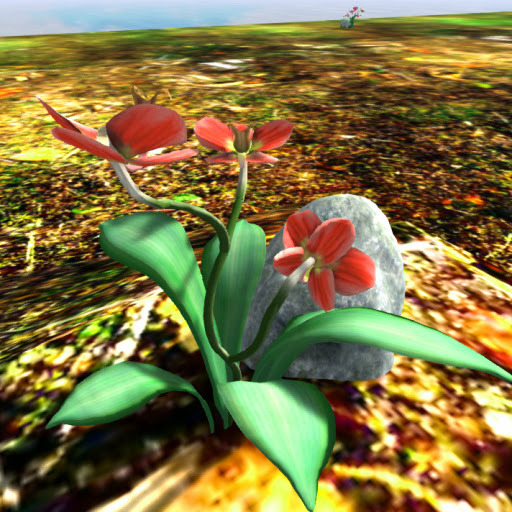 Startling image made to live in the virtual world only from ACS! Lilies Flowers Fields LandscapingCan't get enough Lilies? Fortunately, here's some of our best creations to match your hunger! Asiatic hybrid variety of the Lily sculpted with characteristic recurving tepals rendered in white and yellow hues. The plot is surrounded with rocks lined to form a square enclosure. Excellent blending quality, no need to decor! 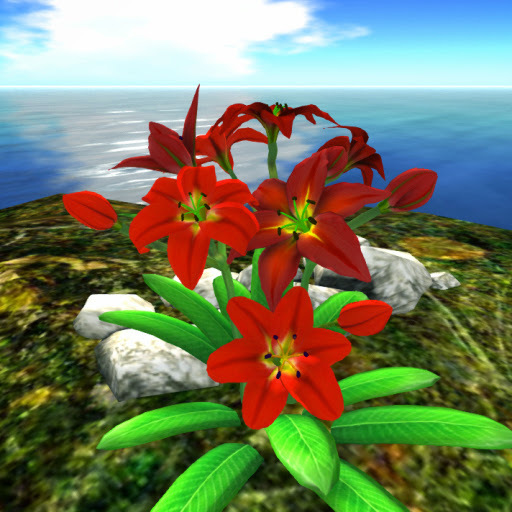 Lilies Flowers Fields LandscapingCreation of life-like proportions! 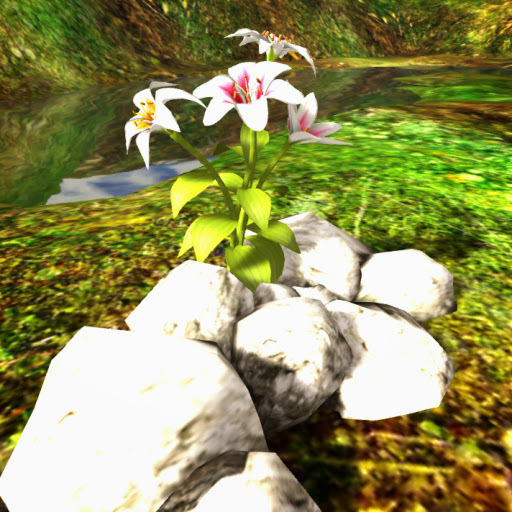 Created in realistic three dimensional feel without the intrusion of "bubbling" from sculpts, this Lily potted in rock-lined square enclosure and flowers rendered in magenta is truly a magnificent item to own. Free for ACS tenants, our masterpiece sets an enthralling mood for your estates. 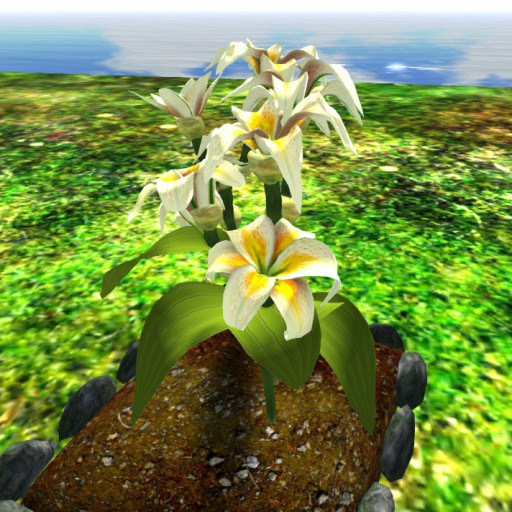 Lilies Flowers Fields LandscapingGrab the attention of your guests by this item so real! 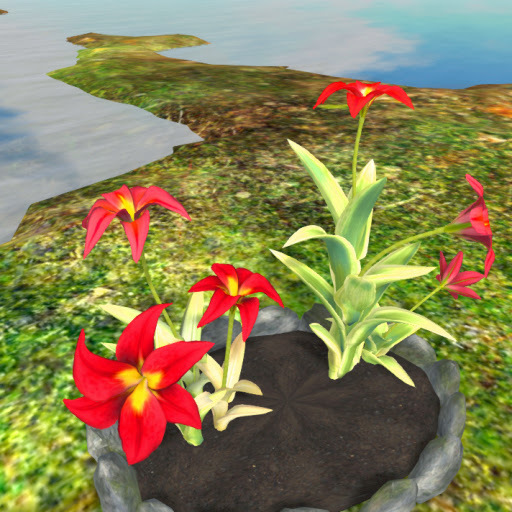 Fiery scarlet red Star-gazed Lily with yellow center and potted with a rocky circular enclave designed for gardens in need for a plant that would get attention from passer by. 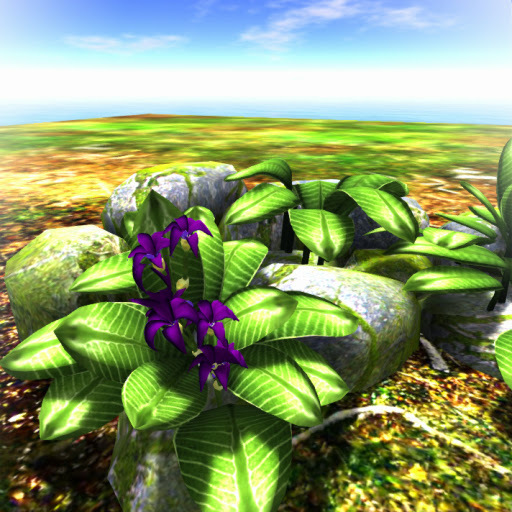 Paradise Flowers Fields LandscapingBring the breeze of the tropics by rezzing our ornamental plants and rocks made for you! Featuring large gray rocks flattened, scarred and used as grawing medium for a host of plants like the moist-loving moss and two species of ornamental plants, Crocus in white base petal color with mango-orange center and glossy, light-green Croton. Paradise Flowers Fields LandscapingParadise in just a rezz away! 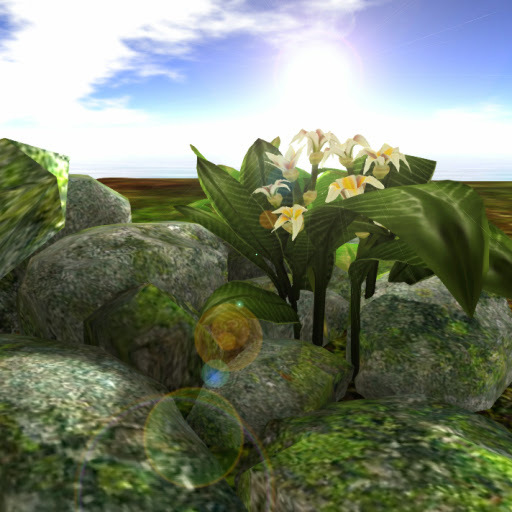 Croton plants and rocks sculpted in only 17 prims- low but real enough to make your guests salivate in awe! 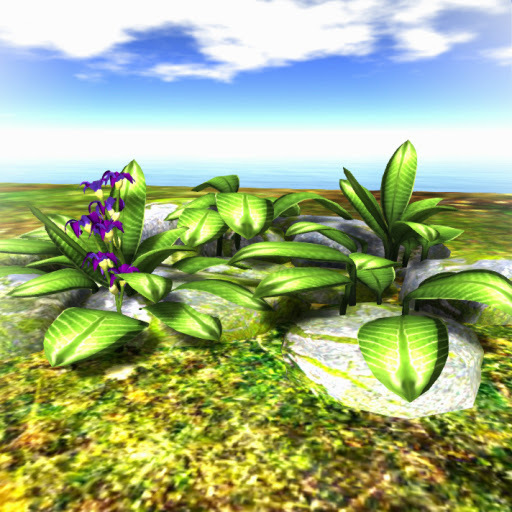 Very similar to ACS Paradise Plant and Rocks-1 except the rocks are more flattened and oval in shape. 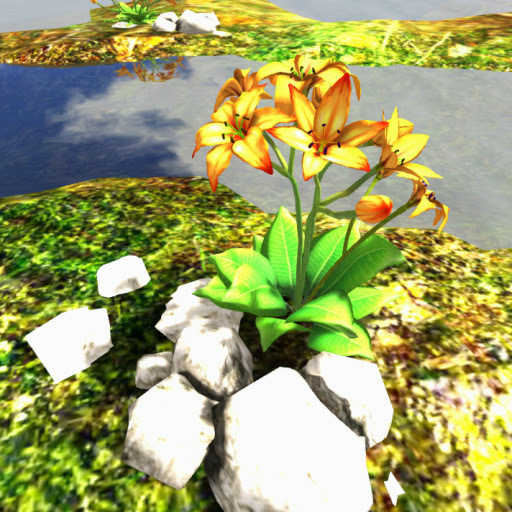 Paradise Flowers Fields LandscapingTake your ornaments to a higher level! Here is an ornamental that will exude an air of coolness and authority in your estates! Top of the line sculpt of a Lily plant blooming in midnight blue surrounded by flat oval rocks coated in moss and lichens. Paradise Flowers Fields LandscapingFeeling blue? Cheer up and take our items smeared with royal colors! Presenting our item showing gray rocks with rounded tops gently wrapped by moss and lichens. 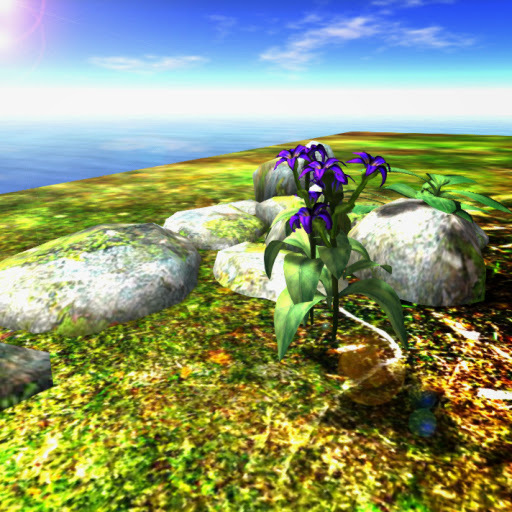 The rocks serve as the habitat for a species of Lily plant in its showy Persian Blue petals. 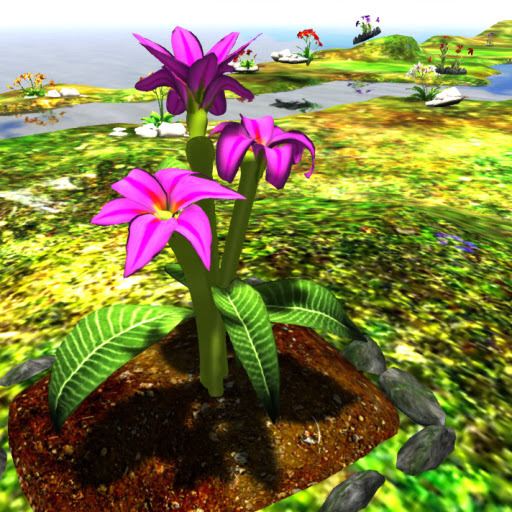 Paradise Flowers Fields LandscapingThis item brings in royal treatment for your guests as they are welcomed by its captivating royal blue Lily flowers spilling out its colors out of the huge dark gray rocks carpeted by other small plant life. Exclusively FREE OF CHARGE to all our beloved residents of Anshe Chung Sims and partner estates.